There are already so many reasons for Arizona to be beaming with pride. 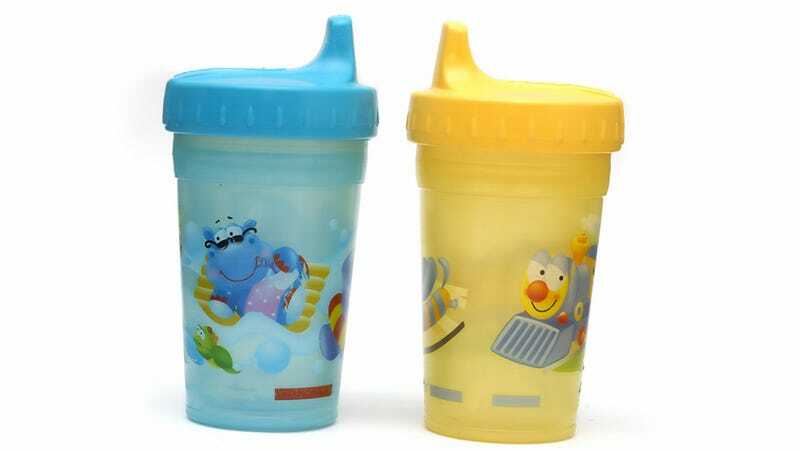 They hardly needed another feather in their cap, but it looks like they've got one anyway: a mother in Phoenix was arrested earlier this week after she put beer in her son's sippy cup while they were eating at a local pizza place. First of all, never do that. But if you are going to do it, certainly do not do it in a restaurant in full view of everyone, and then especially do not get up and leave the child alone at the table with his cup of beer—which she did, beeteedubs. Valerie Marie Topete, 36, said she gave her two-year-old the beer because he "kept reaching" for the pitcher of it on the table. Sure, okay, kids reach for the steering wheel of the car, but that DOES NOT MEAN YOU LET THEM DRIVE. There were conflicting accounts of whether the boy actually consumed any of the beer, but he was taken to the hospital as a precaution. His mother was charged with one count of child abuse, and the boy is now in the custody of his father—though he was also at the pizza place with the boy's two siblings when all of this happened. But he's hopefully aware by now that alcohol + sippy cup = parenting disaster.